Law students, faculty and the greater community gathered April 1, 2019, in the Hart House Debates Room for the official launch of And I Live On: The Resilience of Rwandan Genocide Survivors of Sexual Violence. The March issue of Rights Review is now online! Sahar Sayyad (2L) and Seána Glennon (LLM) write about their trip to the 40th Session of the United Nations Human Rights Council in Geneva to watch delivery of the report of the UN special rapporteur (SR) on the right to adequate housing, Leilani Farha. Sexual violence has been used as a gruesome weapon of war for generations. Through intimate testimonials provided by genocide survivors, The Men Who Killed Me project redefines justice and resilience in the aftermath of the Rwandan genocide. 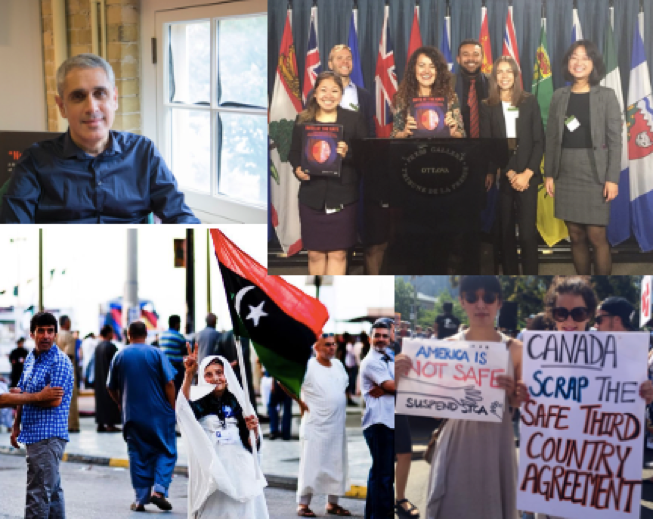 Check out the February issue of Rights Review! The editorial team is very excited about this issue -- we think it might be our best yet. Read more about Special Screening of "The Girls of Meru"
As the Director of the IHRP, I’m constantly amazed by the depth and reach of our research associates’ work in advancing international human rights. On January 23, 2019, the International Human Rights Program, represented by alumnus Cory Wanless of Waddell Phillips PC (JD 2008), Professor Audrey Macklin, and research associate Yolanda Song (JD 2017), will intervene in an important corporate accountability case before the Supreme Court of Canada. In Nevsun Resources v.
Click here for the PDF version of the 2018 Year in Review. "Toronto human rights lawyer sounds the alarm on Canada’s plans to use AI in immigration"
Read the profile on IHRP's Petra Molnar that appeared in The Globe and Mail on November 4, 2018. The article is part of their series "Stepping Up" that introduces Canadians to new sources of inspiration and leadership.